The overall aim of the course is to provide an understanding of how surface active agents behave in solution and how this special behavior can be used to stabilize different types of dispersed systems and change the properties of solid surfaces. 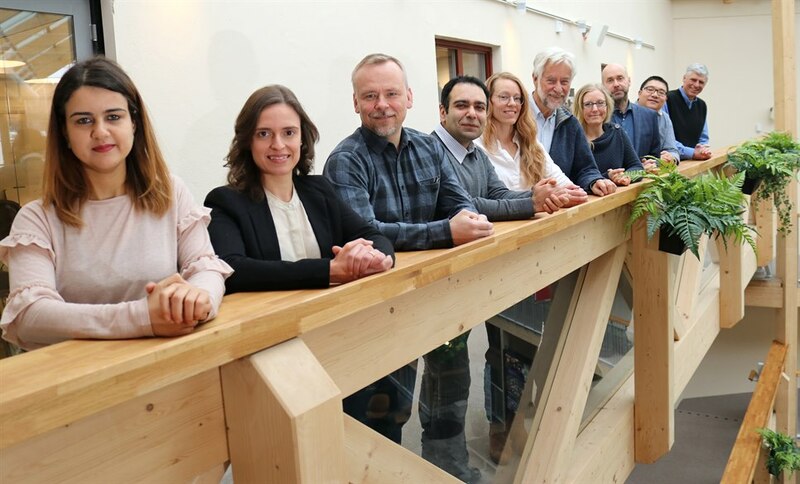 The cource is arranged by Mid Sweden University in cooperation with the research platform Treesearch. Surface chemistry is a key discipline in a broad range of technological fields. Surfactants are often used as tools to control the physical-chemical properties of aqueous formulations. Examples are as diverse as pharmacy, food, cosmetics, detergents, papermaking, paints, etc. Many formulations contain not only surfactants but also surface active polymers. The course gives a description of the underlying physical chemistry of such formulations, with references given to practical examples. Professor Björn Lindman and Professor Krister Holmberg will teach the course. The course will start at 10.00 on Monday, October 8, 2018 and continue until 12.00 on Friday, October 12. The course will be held at Mid Sweden University, Campus Sundsvall. The deadline for registration is September 5, 2018. The total number of participants is limited, and in case the course turns very popular, priority will be given to students belonging to Treesearch. The course is based on the book by B. Kronberg, K. Holmberg and B. Lindman, Surface Chemistry of Surfactants and Polymers, John Wiley & Sons, 2014, ISBN: 978-1-119-96124-6. There is no fee for Swedish PhD students. The cost for industry employees that are not PhD students is SEK 15,000 + VAT. 4.5-7.5 ECTS; 4.5 ECTS credits are recommended for those who participate actively in the course, and an additional 3 ECTS for those who take an exam afterwards. Housing suggestions will be will be given in conjunction to confirmation of admission to the course.